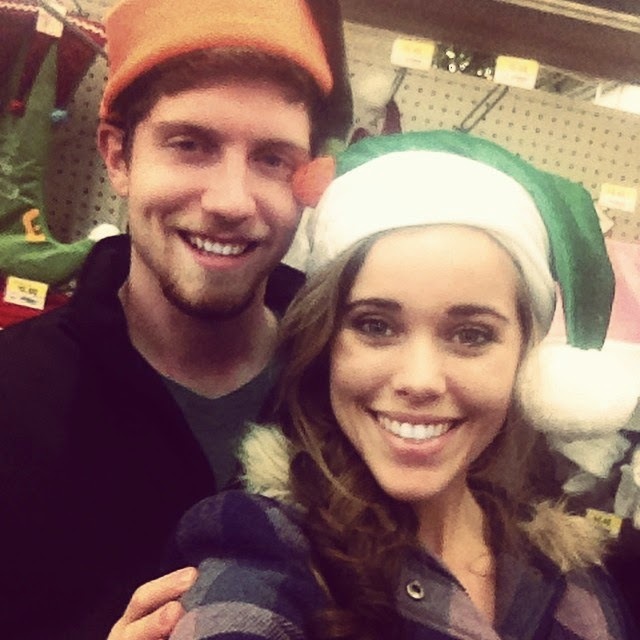 Jessa and Ben Seewald are gearing up to celebrate their first Christmas as a married couple. Just as they did while they were courting and engaged, Jessa and her man are still taking plenty of selfies. Yesterday, the Seewalds spent time with Jessa's family and took a photo with six-year-old Jordyn Duggar. Today marks 50 days of marriage for Jessa and Ben! Has it been 50 days already?! Wow! Where did they honeymoon (sorry, I must have missed it)? Well, where are they living? In Grandma Duggar's remodeled house? Where will they spend Christmas Eve and Christmas Day? What is Ben doing for a living? Is he still registered and attending college? What is his major and what is his career goal/line of work? Nice to see some photos of them, but it told us nothing new. Hope they've emerged from their honeymoon a bit more mature about their image in the media. rumor has it that Ben and Jessa are living in Josh and Anna's old house. is this true? Mr and Mrs Seewald make a lovely married couple. Wishing them a Merry Christmas season. Merry Christmas to Jordyn too, I bet she has been a really good girl! Jessa looks amazing! I don't think she is pregnant yet, she just looks too good for someone who might have morning sickness. The Older Duggar girls are very pretty. However, Jessa has the look of a Miss America. Jessa's looks remind me of former Miss America 2009 who is a Christian. I believe her name is Katie Stam. Any pregnancy announcements for them? Great pics !! Are they living close as Jill and Derrick are? Will we see wedding coverage, etc. when the season restarts? Cute pictures. I love Jessa & Ben in ther Santa hats. I also.love the one of Jessa Ben & Jordyn. Happy Anniversary Jessa And Ben!!!!!!!!!!!! I LOVE The face Jordyn made. It's so cute! That must be so nice to celebrate christmas as a newlywed! Merry Christmas to the Duggars, Seewalds, and the Dillards. We wish everyone a very Merry Christmas and a Happy New Year. Thanks for the update! Where do they live?? I feel lime Ben & Jessa took a little of Jinger's thunder. Its okay to let someone else have the spotlight. Sooooooooooo HAPPY for Ben and Jessa!!!!!!!!!!!!!! Beautiful pics of Ben and Jessa:) Hope Ben and Jessa get pregnant soon after!!!!!!!!!!!!!!!!!!!!! Why is this post saying " Spending time with Jessa's family." Aren't Ben and Jessa's home above the Dugger's shop that they put together for Ben a few months ago? WOW, i didnt realize Jessas hair is that long.She could cut off 12 inches for Locks of Love and still have long hair. Why the big secret about the honeymoon location or where they live? Maybe after all the negative publicity they are keeping a low profile. Joy is actually closer to Ben's age than Jessa, just realized that. They honeymooned in Paris, France, and probably don't want the entire world knowing where they live yet. I believe it was said that they were moving into Josh & Anna ' s house as long as the mold was cleared up. Gorgeous pics - they look very happy together and they are both blessed to have the most perfect teeth and smiles too. Do the Duggar children have any hobbies or personal interests or creative outlets for their active minds and bodies? I mean stuff that doesn't involve cameras and selfies. Farming, chickens, knitting, crocheting, art, baking? It would be interesting to hear about that. I'm glad I didn't enter married life 20 years ago with the pressure to always smile and look good for the camera. Did JimBob provide a house for Ben and Jessa to live in like he did for the other married couples? Where do they live? 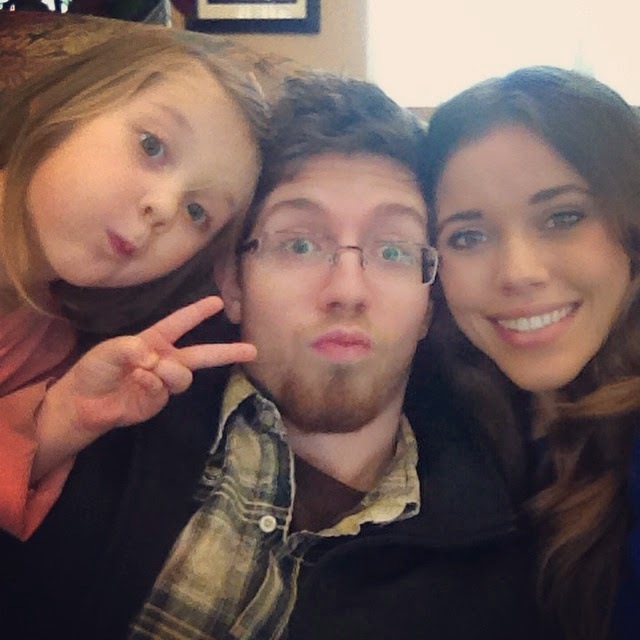 I Wish Jessa would post a YouTube video on how to take the perfect selfie. She always knows how to take such awesome pictures so she looks just like the girls in Hollywood in the tabloids at the supermarket. I don't get why it would necessarily be a good thing for them to have a child right away. Is it a contest? I think it would be better to spend some time just getting used to being a married couple before becoming parents. But, I guess if you don't practice birth control, that would be hard to do. To Anonymous 10: Ben and Jessa did not steal Jinger's thunder. They didn't post the blog or choose the timing of it. Merry Christmas to all. Love seeing pictures of Jessa and Ben and Jill and Derrick. Love keeping with them. They are both lovely couples who love the Lord. God Bless them all. Where are they living? Merry Christmas and happy new year to the Duggars, Dillard's and Seewalds!! Why is everyone hoping that Jessa gets pregnant so quickly? Maybe she and Ben want some time together just as a couple for a few years. Love the pics! Thanks for the update! Merry Christmas!!! Merry Christmas to the Seawalds Duggers and Dillards! Don't forget. Jill and Derick and Unnamed baby's first C-mas too! Merry Christmas to ALL the Duggars, Seewalds, and Dillards! May the season bring you joy and happiness, always. Blessings for a strong New Year. Merry Christmas to the Seawalds..... Did they get them a house or apt close by or a distance off???? What is up with everyone wanting Jessa to get pregnant soon? Let them be young, married, and in love, able to enjoy each other. Okay, thank you. I was wondering how I had missed it since I check the blog so often! ;) this makes sense. Thanks for clarifying! Ben and Jessa have chosen not to announce where they are living. When they decide to make it public, we will post the details. Where does Ben work? How do they support themselves? Ben and Jessa went to Paris! We havent heard much about them since the wedding .... I think I heard they were seen in Paris for their honeymoon, is that right? Where do they live? What does he do for a living? Do the Duggars believe in Santa? Why are they wearing Santa hats if not? Love the pictures! Ben and Jessa are such a cute couple! Is she pregnant already? It's been 7 weeks!!! Happy they are choosing to keep things "private" such as their home, studies, work etc. It is no one business. Merry Christmas to them both. The bustle on the train of her dress looks inside out. Why are all the comments about what Ben and Jessa look like and how beautiful they are, etc. ?their viewers are treating them like celebrities. I thought Christians didn't do that. What Anniversary is being referred to? They've only been married like less than two months. Beautiful couple! Lovely family. I wish now that we had had a large family too - we have 3 kids. Happy holidays! why will they not say where they honeymooned when it is over? are we to be expecting a baby announcement any time soon? Is it usual for the parents to give each child a house to live in? I thought part of getting married was being ready to take care of themselves and their own expenses. Merry Christmas to the Seewald's, Duggars and Dillard's . May you all have many blessings for the New Year! God Bless You All! General facts being no one's business? If they want to drop off of the "grid" and live a private life, that's fine, they can do that, but they are still getting paid from TV and magazines about their lives now. The viewing public isn't asking intrusive questions...like what about their income, where are they living etc? These are general info questions which they OWE their viewing audience since they want to continue to get paid and still be a part of this TV show, ( oh, I mean ministry). Yeah, right. Can't pick and choose and have it both ways here. I wonder if Ben and Jessa are paid by TLC. The original contract was with Jim Bob and Michelle. I don't know if the older siblings automatically get paid when they are working age or not. It would seem not. Josh and Anna are supported by Josh's income from the counsel he works for now. I would be interested to know if TLC pays the Duggar children and how they decide when the children start getting paid. I doubt Jim Bob and Michelle would allow the children to be paid when not performing a regular job, even when age 20. It would seem that the married couples would get contracts from TLC to follow their lives in their homes. I doubt that I will ever find out about it, but I don't care really. I am just glad that I get the opportunity to watch a Christian couple who are raising their children with beliefs similar to mine. It is wonderful to learn some of the simple things they have taught their children. My favorite thing I learned about from Michelle and Anna is saying "Practice makes progress!" when teaching my little ones. It helps them not feel the pressure of being perfect, which no human can be anyway. So it just makes sense! Thank you Lily and Ellie!! Love to all from Massachusetts... If they take your show, we must start after the mainstream. I will keep you in my prayers. If this free speech is no longer? The libs get muted next... Amen! Such an exciting time for them!! So happy for Ben and Jessa!! They are such a great couple!!! Keep those selfies coming, Ben and Jessa! We enjoy seeing them! You two make a gorgeous, handsome couple! @Anonymous They are living in the small house that Josh and Anna lived in when they first got married. It has been cleaned and decorated, and they have made it into a beautiful,cozy home! Jessa and Ben honeymooned in Europe. They have keepsakes from their trip there, including a small replica of the Eiffel Tower. No babies yet; Ben is only 19, and they are still getting established & "on their feet." I think it is great that Jim Bob is in real estate, and was able to start his first married daughters off with houses. Wish I had parents like that--- I had to start off my married life in a cheap apartment! Everyone should have a closeknit family like the Duggars! @Anonymous Yes, they spent their honeymoon in Europe. I don't know if Ben still works for Jim Bob, or if TLC is paying him & Jessa for appearing on the show, or both. Hopefully, more info will be upcoming on the show. @Anonymous I agree. Ben is still so young; only 19. And we know that Derick Dillard is an accountant, but haven't heard much about what Ben does. Jill and Anna are both pregnant now, so that should satisfy the baby-watchers. And Ben and Jessa's young marriage can satisfy the romance-watchers. That is what is so great about the series "19 Kids and Counting"--- Something for everyone!